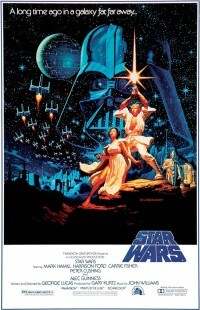 The poster for the original Star Wars. Note the absence of the subtitle "A New Hope," the first of many additions Lucas would make in subsequent years. I can’t pinpoint the time when I first saw Star Wars, but I think I have a fairly good idea. I was born in 1980, three years after Star Wars was released, and while I was growing up I had no concept of Jedis, the Force, Darth Vader, or X-Wing fighters. But somewhere along the line, perhaps around the mid-1980s, my parents rented a VCR and let us stay up late to watch George Lucas’ masterpiece. From the moment John Williams’ score poured from our 19-inch TV’s single three-inch speaker I was hooked. I watched with bated breath as R2D2 and C-3PO evaded capture and flew an escape pod to Tatooine. I marveled as Luke Skywalker handled his first light saber, my mind reeling with the possibilities such a weapon offered. And when the X-Wing fighters took to the trench in the film’s climactic battle, I gaped at the screen, mesmerized and completely, utterly hooked. The technical details mattered not to my six-year-old brain. The monaural soundtrack, the obvious puppeteering, the poor quality matte lines…those didn’t even register. What kept my mind spinning for days and weeks was the incredibly story of a young boy who grew up to realize his destiny, his friends who never abandoned him even in the face of great danger, and the haunting, chilling sound of Darth Vader’s mask. Rooted deep within the story, at some primal level, were the basic elements of mythology that humans have used to tell stories for generations without end, and in our living room more than two decades ago they connected with me too. Soon after that we rented Empire Strikes Back and Return of the Jedi, and I was absolutely thrilled to be able to continue the journey of Luke Skywalker and his friends. My brothers and I used sticks in the back yard to pretend we were Jedis. I delivered newspapers on my bike pretending I was on a speeder bike evading scout troopers and dodging trees. On cold walks to school I would make believe I was looking for a tauntaun I could ride instead. The entire universe captivated me, despite the fact that it was riddled with technical glitches, chroma-key matte lines, and obvious modelwork and puppetry. All that is beside the point, because as George Lucas himself said, special effects are just a tool, a means of telling a story, and it’s the story itself that matters. And it’s the story itself that endures. With the release of the Special Editions in 1997, George Lucas began what would be a seemingly endless journey of tinkering, tweaking, altering, and even polishing his original trilogy. He has stated that his original movies were only 25 to 30 percent of what he wanted them to be, largely due to technical limitations. The changes he has since made, from the mundane (cleaning up the colors of the lightsabre duels) to the horrifying (Greedo shooting first) continually eroded not only fans’ appreciation for the newer editions, but their respect and admiration for Mr. Lucas himself. All this tinkering has been well documented, and will not be explored in depth here, but suffice it to say the version of the classic trilogy that hit store shelves recently is, in many ways, a shadow of its original counterpart. The originals weren’t perfect by any means, and compared to today’s cinematic productions with 1080p and 4K resolutions, 7.1 sound, and 3D effects, they do show their age more than a little bit. But, and this is the part of the argument that seems to escape Mr. Lucas, that is precisely the point. Star Wars broke new ground in so many ways, and advanced cinema in so many unprecedented directions, that to essentially deny the validity of the originals is akin to robbing popular culture of one of its most enduring treasures. 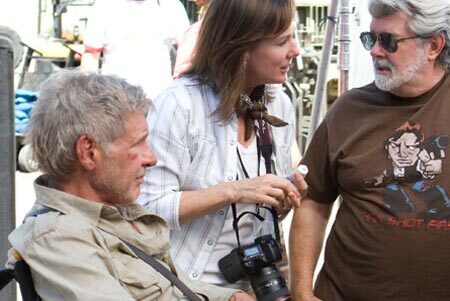 George Lucas on the set of Indiana Jones and the Kingdom of the Crystal Skull, wearing a t-shirt with a graphic that says "Han Shot First." And that’s it. Consider, then, the laundry list of films directed by Steven Spielberg, one of Lucas’ contemporaries whose films like Raiders of the Lost Ark and E.T. have had a similar impact on the cultural zeitgeist. While Lucas had a gap of more than twenty years between directing the original Star Wars and The Phantom Menace, Spielberg was busy making dozens of films and refining his craft, and currently has four films in various stages of production. So what was Lucas doing that whole time? Nearly every project he was involved in after 1977 bears the words “Star Wars” or “Indiana Jones,” a film which he was, admittedly, very influential in creating. Stymied by his own myopic vision, or perhaps simply too scared to venture out with other projects, Lucas has seen fit instead to tinker with his original creations rather than branch out into new areas of science fiction and storytelling. Not every film made by Spielberg, Martin Scorcese, James Cameron, Christopher Nolan, or other influential Hollywood personalities, is a success. Even the greatest artists sometimes fail, which in its own way an integral part of success. But George Lucas has never experienced failure, thanks to his refusal to exit the comfortable confines of his Star Wars universe and try something new. Instead, he is content to meddle with Star Wars, babbling on about his “original vision” and adding pointless things like additional rocks and blinking ewok eyes to films that, for years, have stood entirely on their own without enhanced color grading or CGI dewbacks. Notice also two curious omissions from the aforementioned list: The Empire Strikes Back (which Lucas actually said was the worst in the series) and Return of the Jedi. These films were borne from Lucas’ original creation, but he did not actually direct them. Instead, he wisely left that task to men who understood conventions like dramatic tension, character arcs, and (gasp!) good dialogue. Even the original Star Wars owes a great deal of its success not to Lucas, but his wife Marcia, who edited the film and in many ways helped her husband guide its direction (it was her idea to kill Ben Kenobi, an idea which Lucas initially resisted). In the originals, shots like this were the culmination of cutting-edge motion control and compositing. In the Special Edition, they were replaced with CGI, effectively erasing some of ILM's most pioneering work. In other words, George Lucas may have been the guy with the idea, but Star Wars owes its enduring popularity to a host of individuals. And yet it is Lucas who has decided not to leave well enough alone and revise the very objects of art which catapulted him to fame and fortune. Star Wars is not simply his vision. It was the product of many committed individuals who poured their heart and souls into the films. And with the release of the Blu-Rays, the original trilogy has been, in many ways, marred beyond recognition so as to effectively snuff out out the contributions of the many individuals who helped bring them to fruition. The special effects might have been cheesy, the colors less than perfect, and the sound a humble stereo mix, but these are what made the films great. Of course Lucas is free to alter the films if he so chooses. He owns the copyright, and he can take his fancy ball and go to another playground if he wants to–even if no one else is there to play with him. But it was the original trilogy that changed how movies were made. It was the original trilogy that defined special effects for the next 30 years. 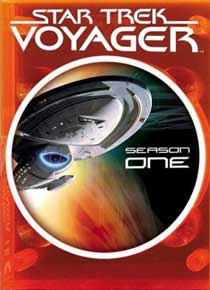 It was the original trilogy that created legions of devoted fans around the world. And it was the original trilogy that entranced a generation and made them believe that each and every one of them had the power to do something special, to stretch their wings and fly. 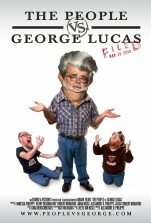 Lucas can update his films with newer gee-whiz computer graphics and add floor-rumbling surround sound, but to deny future generations of moviegoers the opportunity to see the original films as they actually existed, regardless of his somewhat specious claims regarding his original vision, is like denying a grandmother the opportunity to hold her grandchild. 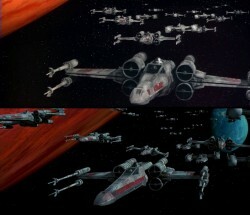 Of course the originals on VHS and Laserdisc can still be tracked down by dedicated fans, and in 2006 Lucasfilm even released a DVD set of the Special Editions that included a bonus disc with the original version of each film (infuriatingly presented in non-anamorphic widescreen, almost as if Lucas was just goading legions of fans clamoring for his original creations). But Lucas has since essentially abandoned the originals, tossing them to the curb and dismissing them as mere rough drafts. What he fails to realize is that those “rough drafts” are precisely what put him in the position he is in today. And it is those “rough drafts” that will be celebrated for years to come, not despite their imperfections but because of them. In The People vs. George Lucas, filmmaker Alexandre O. Philippe documents the love/hate relationship Star Wars fans have with George Lucas. And so remains the question: what is to be done? In a sense, the best chance to make sure these films are not relegated to the celluloid dustbin is to keep the feedback coming. SaveStarWars.com has an incredible FAQ that answers a host of questions regarding the original trilogy (and debunks some of the common myths, such as Lucas’ own statement that it would be too expensive to restore the originals) and contains myriad resources for fans to take action. But by far the most influential method for changing Lucas’ mind is simply affecting his pocketbook. Each time he releases newer altered versions of his films, they are purchased by fans all around the world (the Blu Rays recently broke all kinds of sales records)–many of them torn between keeping the original films alive while also delighting in seeing them gussied up with all of today’s home theater wizadry. And the films will soon be back in theaters with a full 3D treatment and, presumably, even more changes to fit Lucas’ ever-changing “original vision,” with a 3D Blu-Ray release years down the line virtually a foregone conclusion. Imagine if George Lucas threw a party and nobody came. Imagine if his 3D Star Wars films bombed at the box office, and if the blu-ray sales fell like a dead tauntaun. Would he finally listen to the fans and release the original versions? I’m thinking he would. The fact of the matter is, there’s room in Star Wars fans’ hearts for all kinds of versions. He can release all the HD/3D/Special Editions he wants, just as long as he releases the originals too. 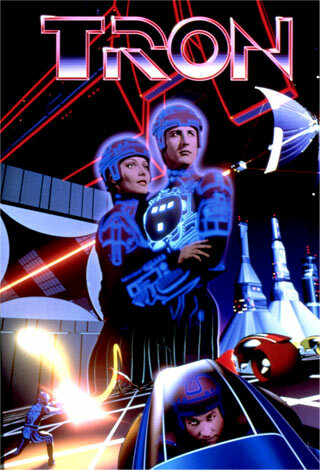 And not a cheesy laserdisc transfer from 1993 either. If Star Wars was big before, just imagine the sales figures of this hypothetical boxed set. In the meantime, there’s plenty of resources for fans to keep the originals alive for generations to come. And as for me, my son who will one day be old enough to watch Star Wars. One day I’ll pull out my 2006 DVD versions, skip to Disc 2, and let his imagination be caught up in the adventures of Luke Skywalker, Han Solo, Princess Leia, Yoda, and all the rest. If I have my way, he will only know the originals–the ones with the poor-quality matte lines (“That’s how they used to make movies, son.”) and bad lightsaber visuals (“They didn’t have computer graphics back then…”). I’m sure some day he’ll ask about the prequels or the Special Editions and maybe we’ll even watch those too, but the Star Wars he grows up will be the same as the one that millions of fans around the world grew up with–one in which Mos Eisley is not a wretched hive of CGI distractions, the Max Rebo band is not a gaggle if cartoon muppets, and Han always, always shoots first. As always, I respect your point of view, so I know you’ll take my response as the good-natured intellectual discussion it was intended to be. For the record, I plan on having my students read both articles and writing a response when we get to it this winter. Good discussion! As always, Dave, your writing is excellent and your logic is sound. I’m honestly humbled that you would bring these articles into your classroom. Thanks, man. I really appreciate your response.